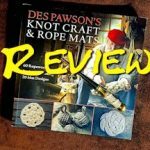 The Double Dragon Loop is not listed in Ashley’s Book of Knots, it would appear to be a distant relative to the Perfection Loop or Anglers Loop ABoK 1017. 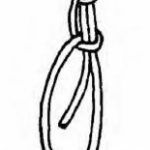 The Double Dragon Loop is an excellent end of rope loop and it is considered to work as well if not better than other end of line loops. 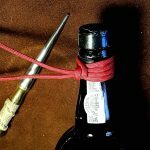 The Double Dragon Loop works well in very slippery ropes such as Dyneema. 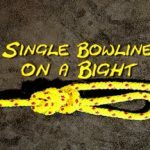 Another advantage of the Double Dragon Loop is that it is less prone to shake free compared to a standard Bowline. 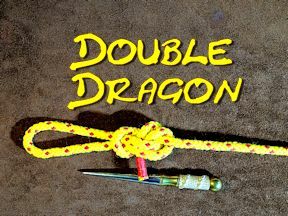 Also the Double Dragon can be loaded heavily, yet the knot can easily be untied afterwards.Double Dragon Loop Video. 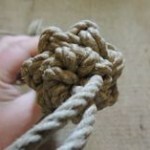 This is a relatively easy knot to tie and after a couple of goes should remain easily remembered.